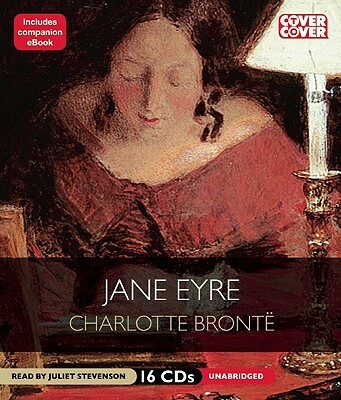 Jane Eyre, one of the most widely read English novels, has extraordinary emotional and narrative power. It introduces a new type of hero and heroine with an unconventional love story. Jane, a penniless orphan who survives the miseries of a charitable school, is employed at Thornfield Hall as a governess to Mr. Rochester's ward, Adèle. Rochester is fascinated by Jane Eyre's sharp wit and independence, and they fall in love. But overwhelming obstacles stand in the way of their marriage. Charlotte Bronte was born on April 21, 1816. In 1842, she traveled with her sister Emily to study at a boarding school in Brussels. Her first novel, "The Professor, " was rejected by a series of publishers before appearing posthumously in 1857. Her most successful novel, was "Jane Eyre," which was published under a pseudonym, Currer Bell, in 1847. In 1854, Charlotte married her father's curate, Arthur Bell Nicholls. She died the following year.